Less than a month after a judge upheld the Scottish government’s decision to allow women to take the abortifacient drug misoprostol at home, the British government announced over the weekend that by the end of the year home use of misoprostol will be legalized. 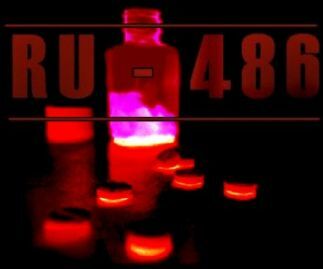 Misoprostol is the second drug of the two-drug RU-486 abortion technique. The announcement “comes after pressure from campaigners for England to follow in the footsteps of Scotland, which last year became the first part of the UK to introduce the option, and Wales, which announced its own plans in June,” The Guardian newspaper reported. The decision by the Department of Health and Social Care (DHSC) was vigorously denounced by the Society for the Protection of Unborn Children. SPUC pledged to take court action against what it labeled an “unlawful” practice. Women currently take both mifepristone and misoprostol at an abortion clinic, 24 to 48 hours apart. Earlier this month, SPUC charged that the British Medical Journal’s journal BMJ Sexual & Reproductive Health journal has refused to publish any criticism of a widely-publicised article promoting home abortions. The article was co-authored by, among others, Prof. Regan and Prof. Sharon Cameron of the British Association of Abortion Care Providers (BSACP). In responding to the article Dr. Anthony McCarthy, collaborating with Dr. Greg Pike on behalf of SPUC, pointed out numerous problems with the methodology used in the piece and questioned the seriousness of the sources used for some of the claims made.